Well, its that time of month again. I know that many of you look forward to these income reports, so I am happy to share with you some specifics about my business. I am sharing my income simply for the fact that I know it is motivating to others to see the potential of this business. I know when I was first getting started out building niche websites, I would always ask myself, “Is it really possible to make good money doing this?” Well, now I know what's possible and how much more is actually possible as well. First, here is what I did in the month of June. I wrote 11 blog posts for this blog! I think that is a record for my site here. If you missed any of them, you can catch up with most of them on the Niche Websites Hub. You can also see all the posts made on this blog (even those not on the hub) by reading my old posts here (there is also a tab at the top of the site for all my old posts). I also spent some time looking for new keywords for niche websites. I think I found some pretty good ones, but I am still in the process of building out these niche websites, so there is no income as of yet from these. Finally, I also spent a lot of time working on my new keyword research software, Long Tail Pro. The income numbers that I am sharing below, are all from my niche websites. I currently have right around 200 niche websites and so this income is obviously spread out across a wide variety of sites. Clearly some sites earn much more than others, and in fact some of my sites don't make any money. This is part of my startegy of building niche websites. Sometimes I have big winners and other times my plans don't work out as expected. However, with enough “swings”, I am sure to hit a few home runs. I am very happy with my income for June despite the decrease of over $3k from May. I can see exactly which sites primarily brought the decrease of my income and I believe it was out of my control for the most part. The decrease came primarily from my top 5 earnings sites overall due to decreased traffic. However, I still rank #1 (mostly) for my primary keywords on these sites – so I attribute most of the traffic decrease to some sort of seasonality or overall just less people searching for my keywords in the month. So, I saw a significant decrease in my top earning site for example, but it still ranks #1 in Google for its primary keyword. So there is not much I can do but attribute the loss in earnings to simply less people searching for the term. I can see a similar occurrence with the rest of my top 5 sites. Now obviously I have other sites that rank lower this month than last month, but I also have some sites that rank better now than before. There just tends to be a lot of fluctuation each month in both rankings and traffic volume with some sites from month to month. 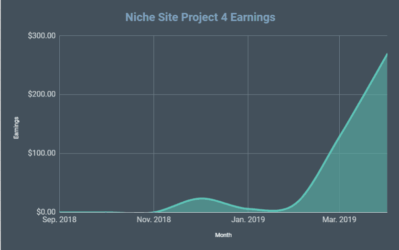 Overall, I am happy with the solid earnings and will continue to build my niche websites portfolio. I really did not put much effort into my existing niche websites in June, so the income was fairly passive. However, I have started a few niche websites which I hope to start making a little bit of money by the end of July. I expect July to be a good month for my niche websites, and I have a couple of other projects that I am going to be working on during the month of July to diversify my income a bit. Anyway, let me know your thoughts about my income report! Awesome earnings as always Spence! I noticed your top sites are not making as much as last month. I’m noticing that too. Any insight? Thanks! Well, I saw that my top sites didn’t receive as much traffic either, so I attribute the loss in earnings to that. Could just be monthly fluctuation (my guess), since they all essentially still rank the same. There could be a lot of factors at play though – amount advertisers are paying, number of searches done, loss of rankings for other keywords, or others. Are your sites #1-5 still micro niche sites or have you built them out to be authority site? I am in the process of building out 2 of the 5 sites (they currently have about 20 pages). But the other 3, I would still consider micro niche sites. But perhaps down the road (as I have time), I will be building these into larger authority type sites. I haven’t seen the same thing with mine; however I had a thought. Perhaps the niches that are seeing the decrease in traffic are niches where people who are interested in them might be spending more time outside enjoying the summer instead of sitting in front of their computer? I think it may have had something with the second version of the panda update, it was rolled sometime last month and as a result a couple of sites got hit but they recovered after a week or so though. Did anybody else see a drop in there rankings? Jason, I did notice some of my top 5 sites lose rankings during the middle of the month (still on the first page though) but they have since bounced back. Perhaps you are correct. The odd thing was that the sites that were outranking me for that week or 2 had no business ranking as well as they did (in my opinion). Congratulations Spencer, another stellar month! Inspiring stuff. Well still a good income . Very Impressive to see one adsense site making that amount of money. This will make clear a lot fo people that they dont need to have lots of website to reach that amount of money. Aldo, yes an adsense site can obviously make a lot of money. I’m sure ezinearticles.com makes hundreds of thousands (or millions?) each month from just Adsense. Very impressive results Spenser, notwithstanding the drop in your top sites. Incidentally how much content is on your top site-the $3,500-4,500 one? I have been following your business for some time, and look forward to your updates. Thanks for continuing to share your earnings, as well as the sources of said earnings, as it does give credibility to your posts. I see your site #1 makes around 30% of your gross, the same situation with me – I have a site that makes around 20%-40% of my gross, the rest is dispersed across other sites. Hey Anton – thanks for sharing! I agree with the 80/20 rule. I know full well that most of my sites won’t be big earners, but the few that are more than make up for the small income earners. I also expect July to be a slower month for me. Thanks for sharing your monthly income it is great to see how you are doing and especially how specific you got by showing the top 5 sites. I am wondering are those 5 sites big content wise? Will, those top 5 sites dont really have a huge amount of content, maybe around 20 pages each on average. Keyword choice is really the reason why they are doing so well. I found low competition keywords and rank really well for those keywords. Congratulations. I’m sure your income will go up considerably next month with the launch of Long Tail Pro. I’m considering the purchase myself. Once you have a winner and add some extra pages, like you said, up to approximately 20, why don’t you continue to add new content and grow the site bigger? Did you reach a plateau at 20 pages for those sites. In other words, you added pages 15-20 but didn’t see any increase in traffic/revenue? 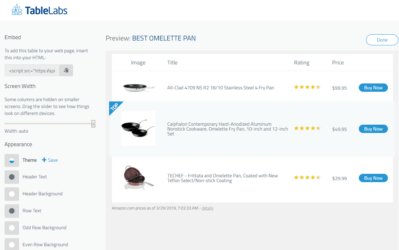 About Long Tail Pro, I’ve been following the launch, and I have a question and a suggestion. With all the Google/Yahoo searches involved, are you using a proxy feature to avoid the Google/Yahoo time-outs? I’m imagining that after 10 or so searches you’d start having issues. Also, I suggest you take all the questions and answers you provided on the Warrior Forum and here and put a FAQ together on the LTP about page. 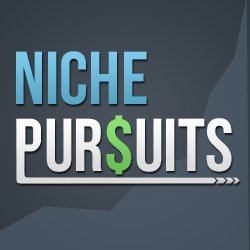 Finally, the toughest parts for me with niche sites are the keyword research and backlinking. You’ve done such a great job with the Keyword research that it’s changed my whole approach. I would like to request that you dive into backlinking strategy next. Chris: The only reason I haven’t added more than 20 or so pages on some of the sites yet is because I am lazy I guess! Actually, I just haven’t gotten around to it – I have been meaning too. In fact, for my top earning site I just ordered about 50 articles that I will start posting this month. I may be doing similar additions to my other top sites. Also, I will eventually get around to discussing link building in depth. The topic is listed on the Niche Websites hub, but it may take a while to get there. But who knows, if I get enough requests, or if I am feeling ambitious I may tackle it next. Finally, I will indeed be adding a FAQ type page for Long Tail Pro. Great thanks for that Spencer! Makes perfect sense, Keyword research definitely very important in order to choose the right niche. And like you had mentioned before, you will hit homeruns if you take enough swings. I’m still enjoying following your posts and updates. Thanks for sharing. I have about 5 sites now, and they are all starting to consistently earning money each day. Nothing to retire on, but still something. I’ve also started working on a larger project where I’ve selected an “evergreen” niche, developed a site, written lots of good original content, written an ebook product and and am trying to focus on getting that one site up in the SERP’s and drive traffic and conversions. Definitely still enjoy the niche sites and adsense too. I like it when I get those occassional $2.0 clicks. Sure wish I could figure out how to get more of them! Hey Chris, thanks for sharing and good luck with your bigger site you are working on! Thank you so much for once again sharing this information. Congrats on some very impressive income levels. Someone on another blog made a comment of “well its easy for you to do since you have a huge pile of cash to spend on buying existing sites and outsourcing everything”. It got me thinking that yes, the person he was mentioning does have a ton of cash sitting there to do all this. But regardless of how much cash is sitting there what really matters is not the amount of income brought in by an endless supply of virtual assets being bought by a mountain of dormant capital, but how much is being kept. Perhaps in the future posts you could include expenses. And show a percentage of what you get to keep. Who knows, maybe after expenses your in the RED :O! Victor – I am definitely not in the red :). I think sharing expenses is a good idea. Niche websites is such a low cost venture; especially once you have sites doing well that you don’t have to touch. I don’t know exactly what my expense were last month, but I’m sure that at least 80% of my income number was pure “take home” profit. Thats why we love this business 😛 Thanks for the new report Spencer! PS Long Tail Pro RULES! thanks for your income report. I love to read them. As Victor mentioned .. I would also be interested in the expenses you have, if you mind to share that. Even more I’d like to know how much traffic your top 5 sites have. Its always good to know what my readers want to see – its gives me good ideas for future posts. I don’t guarantee to reveal everything about those 5 sites, but I may share some more info in the future for sure. 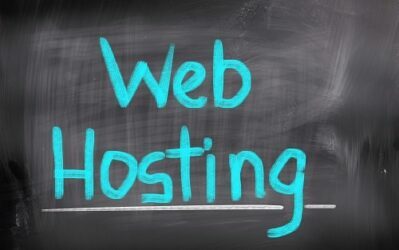 Are any of your top 5 sites one you bought or aged domains? None of my top 5 sites are on aged domains or sites that I bought. ALL of them are sites I built from scratch on brand new domains that had never been owned before. I just landed on some really great keywords and rank at the top for them. Yep, I really do make my money from niche websites – in fact I do think I made a single dime last month from any kind of affiliate marketing. It really is possible to make a living building niche websites (definitely not easy, but possible). We’ll just get idea how to implement adsense on sites. I don’t think it will be a wise move for Spencer or anyone to share such information. Being #1 does not mean you are untouchable. If the niche or website is revealed, it will invite unnecessary competition. It may also be a violation of Adsense terms of service agreement, depending on the specifics of the information. I won’t be sharing my niche sites. When you are at the top of Google is actually when you have the MOST threat. I have no where to go but down. Also … it would only take one person to even get you banned by heading there and clicking like mad and encouraging his mates too … susect Google wouldn’;t be happy with that !!! Great info. I notice that about 60% of your total monthly earnings for the last two months is from your top 5 sites. Beyond picking good keywords, is there any differences you can point to for why those sites have really taken off? I didn’t do anything difference with these sites versus my other sites. These keywords just pay more and get more traffic than the other keywords I picked. I have recently added Adsense to my website after reading your blogs. 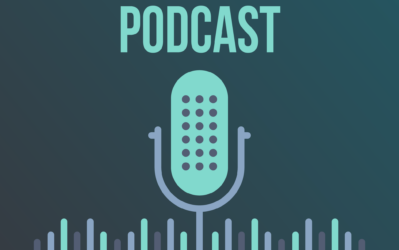 I wonder what you think of building a quality content micro-site and going after the big money keywords in areas such as insurance, loans, mortgages, education, etc. If you find the high traffic/low competition keywords, is it still worth it, or is the competition just too much? No niche is off limits. If you find a low competition/high paying or high traffic keyword – then definitely go after it. Each google query is based on a keyword. If a keyword is easy to rank for then go for it. However, it is just generally harder to FIND these keywords in certain niches like insurance, loans, etc because lots of people have tried. It doesn’t mean that there aren’t still keywords out there – it just means lots of people have probably already found those hidden gems. But, your success is inspiration for me. I know I have to work more hard to increase my earning from Adsense. 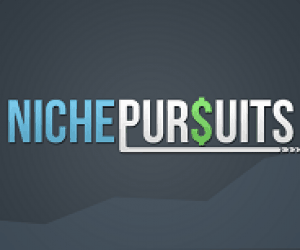 The earning is around $300 per month from my 5 niche sites. Two months ago I created 5 niche sites. I hope they are start making money by the end of this month. Kang – don’t be jealous! I’m glad I can inspire you and sincerely hope you all the best with your new niche sites! Spencer – you’re killing it, dude! You inspired me to build my first site, and I hope to make it the first of many. At this point, I’d be happy if I made $20/month like you mentioned a few of your first sites made. The thought of making over 3k/month from one site is definitely inspiring me to make sure I’m going after the right keywords. You mentioned that you built each of your top 5 from the ground up. What is the search volume like for sites that make over $1000/month? The site I made has a little over 1300 exact searches a month, but I’m thinking sites in your top 5 would have significantly higher search volume. Congrats again on the awesome adsense income! Best of luck Ben with your new site and future sites! My top site for example is based on a keyword that gets around 6k exact match searches and has a CPC of like $4. The other sites are based on similar search volume keywords as well. Spencer – question for you about ad sense placement. Have you experimented and found any of those placement areas to work better than others? James I find that in the article near the top works best. A large or medium rectangle Adsense unit just under the title either right or left justified gets the best CTR. I usually do sites with a single sidebar on the right. Hope that helps! Nice spencer even if it decrease it is still a good indicator that niche website when configured properly will give you more golden eggs. Looking forward to know your backlink strategy even if it is a glimpse only. Great post, Spencer! 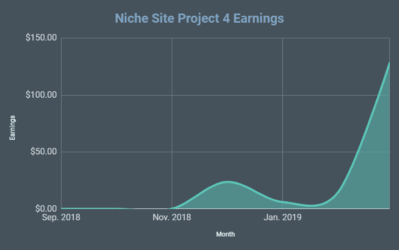 Really liked the fact that you posted your top 5 earning sites like that… it’s really informative, and gives me an idea of a “best case scenario” if you find a really great keyword. I especially love the niche websites hub articles page. You are really a great inspiration — and I’m probably going to go buy some more domains after this. I was so geeked when I saw I earned over 5 bucks for just one click on one of my niche sites yesterday. I really feel comfortable with growing the Adsense income moreso than relying on an Amazon Associates monies — because Google has more money! Awesome update as usual Spencer… a huge motivator for folks like myself. Can’t wait until you get into the link building section of the hub. That’s the part I’m most interested in myself. Seems like there’s so much options and also tons of confusion as to what works well. Glad to see things are still going great and will look out for your next post! …You are the real proof of success on line and I’m so glad I found you on warrior forum some months ago. Long Tail Pro is such a wonderful tool, I’ve already found some great keywords. Your top 5 sites are all exact match domain? Thanks Federico! My top 5 sites are NOT all exact match domains. They are something like keywordreviews.com or keywordpro.com. I think 2 of my top 5 sites are exact match. Is there anything more motivating when you stuck in a rut than coming to Spencer’s blog? Very good stuff here and highly actionable. Love reading it. Do you know if there’s any truth to Adsense payouts becoming higher after you’ve held and published ads on a particular site for 6 months or longer? I heard that before….wasn’t sure. Like the advertisers were gaining confidence in your site. I don’t think there is any truth to that. Most advertisers simply bid on keywords – they have no idea where the ads actually are. So, the payouts should always be relatively steady on your site. Great stuff, I’m really inspired and ready to take action on creating such great niche sites. A quick question if you don’t mind sharing with us – What kind of “Exact Match” searches and CPC is your best income product site has? Is it getting traffic mainly from one keyword or is it spread across multiple keywords? According to the keyword tool my top site gets around 6k searches per month and a $3+ cpc. A log of the traffic comes from 1 keyword, however, there are lots of other long tail keywords that get a good amount of traffic as well. I just do 1 year with manual review – that way I only renew the ones I really want to. My sites are spread across multiple adsense accounts. I plan to write a post about these issues in detail. Essentially its just another step to reduce your footprint. Spencer – I’d like to open up another adsense account – how are you able to snag multiple adsense accounts? My understanding is that they only allow one per individual (ss #). You using multiple registered businesses? I only have one personal account (under my SS#). The other are under registered LLCs that I own (different tax id numbers). This is according to Googles terms of service and is 100% okay to do. Spencer, do you use the LLC’s for tax purposes or just to separate you sets of sites? Cant think of many other reasons why you wouldn’t just keep adding to your personal account. I have one LLC for tax purposes, but I do have another LLC that is essentially just to separate my sites on a separate adsense account. Hi Spencer – excellent stuff – thanks for posting this information. It does exactly what it’s intended to do – motivate and inspire! I’m definitely interested in hearing about your link building techniques next. I have a dozen or so sites that I haven’t done any link building on and I realize I’m missing out. I’ve ordered a few link building packages, but I’m interested to hear from your experience. Thanks! I have been flowing your blog from the start. I love the reports and your posts. As always, it is a nice read. Did you also check international ranking? A while back ago, I was puzzled for traffic drop while ranking is intact. Later, I found out that it is due to drop in international ranking. I use https://adwords.google.com/d/AdPreview/?__u=1000000000&__c=1000000000 to quickly check my ranking in top traffic countries. Ye – great tool…thanks for sharing! Obviously you prefer Kontera over Infolinks.. Do they pay better or faster ? I guess I’m just a bit curious as I always have used Infolinks and might jump over to Kontera. Kontera pays on a net+30 basis I believe. I don’t know if is much better than the other – I tested infolinks previously, but Kontera seemed to perform slightly better. Either way it wasn’t a huge difference in payout however. 1, how long does it take you to start making money on your niche sites? 2, your top earners how long have theys been up? 3, would you advise me if this is a good keyword..
Only 2 have keyword exact way in title. only 3 sites are targeting same keyword. 1. It depends, but usually 90 days is a good estimate before you know if you have a good site or not. 2. My top earners are actually about a year old. 3. Sounds like a great keyword from the info you have shared. Thanks il keep that in mind if its not making anything within 90 days il trying flip it, what is a good amount of money on a site to keep it? I was over at Deneil’s blog and noticed he mentioned you in his list of top earning bloggers (well, of the ones that actually report their income). So that’s how I ended up here. Pretty impressive stats. I haven’t been using Adsense for a few years now, and have actually recently started getting back into niche sites (within the last month). I try to target keywords with between 5000 to 10000 exact match searches a month. I noticed you manage over 200 sites, which I don’t know if I’d be able to do. I stick to a few medium competition niches. How do you manage so many sites?! Kindly correct me if m wrong. I have read one of your earlier posts and there you’ve mentioned that you run about 200 sites. But the income chart above (break-up as per the sites) mentions that 60-65% of your income comes from the top 5 sites. Seeing the adsense income from each of these 5 sites, it seems that these shall be high traffic websites targeting quite popular keywords as against niche and long tail keywords. Does this mean that targeting niche keywords and create a dozens of websites is not a good strategy? Your current post makes me think that among the following, targeting high traffic keywords and creating just a few sites as against targeting a niche keyword and creating 150+ sites , the high traffic keywords targeting strategy wins. Is it like that Spencer? Yes, I run over 200 websites. These top 5 sites are not targeting any more popular or higher traffic keywords necessarily than my other sites. They are all in the 1k to 10k range (all my sites). I would never be successful if I was targeting high traffic keywords (over 10k searches per month). The key to success is LOW competition, not necessarily search volume. I have not changed my strategy at all – target lots of small keywords and some of those will perform better than others obviously. it was very good and inspiring to read your article, and the comments here .. i started to do some sites 5- years ago, but unfortunately i started them on free webhost, what was closed … so it was s**k .. now i started again, with some more sites, but yet i can’t achive that succes what was 5 years ago … i don’t know what happend, but i feel much harder to make a popular site today. Um… wow. Glad I found this site; I’ll probably learn something new and give it another go. I have been reading your blog from the start. You are a great inspirator and internet leader!!! Hi Spencer – great information. It does exactly what it should do – leading the internet marketing world!